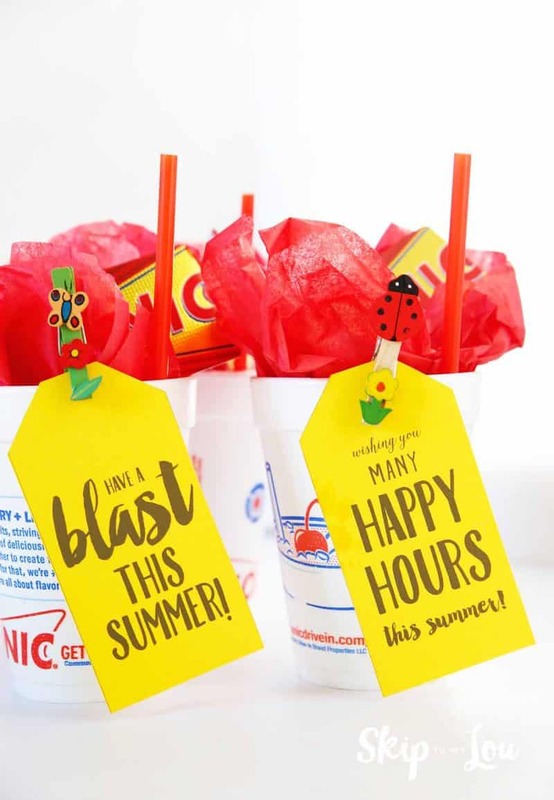 Wish a special kid a happy summer with these fun last day of school gifts. My sister-in-law is the best! All year long she is showering my children with little treats. Nothing extravagant but extra thoughtful. A little something on each milestone or holiday to make them feel special. 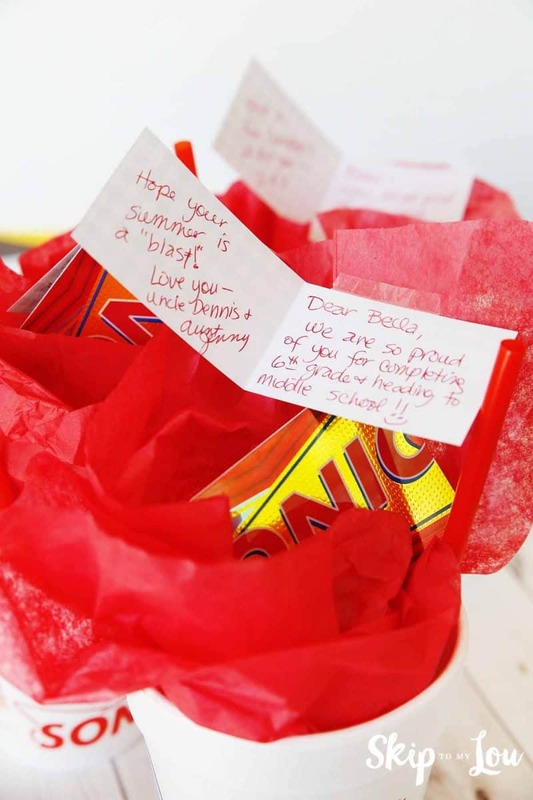 This year she out did herself wishing my children a happy summer on the last day of school. She filled Sonic cups with tissue paper, straw and a Sonic gift card. Too cute and my kids loved them! She wrote each child the sweetest note. 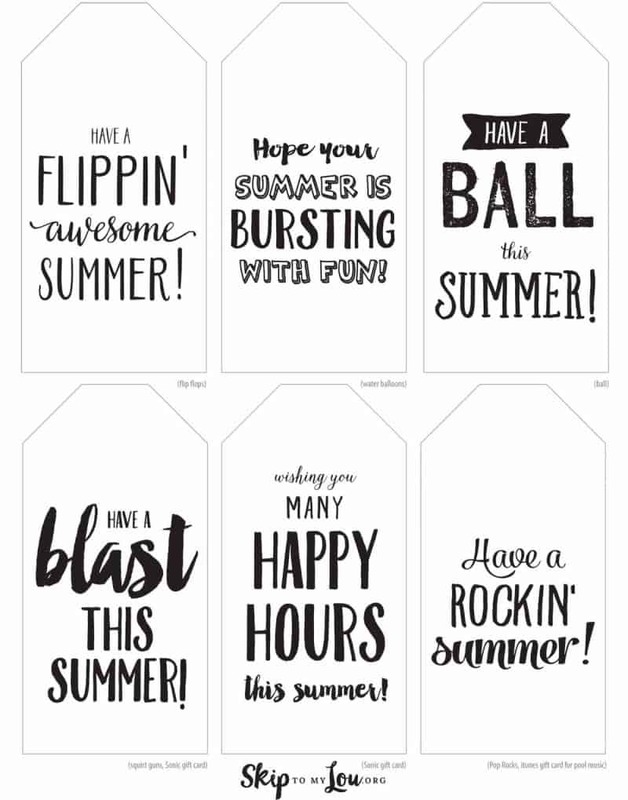 I loved her clever idea to celebrate the last day of school and made some printable tags so you could make them too. 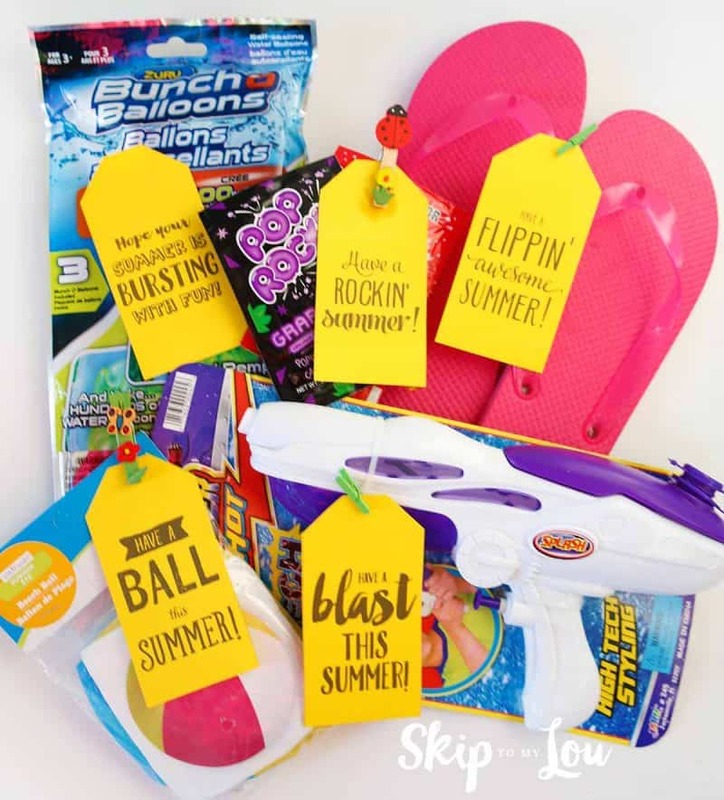 From gift cards to water balloons you can get someone off to a happy summer. Here are some tags with cute sayings for you to use. Download file, print on cardstock and cut out. Clip or tie tags to a small gift. 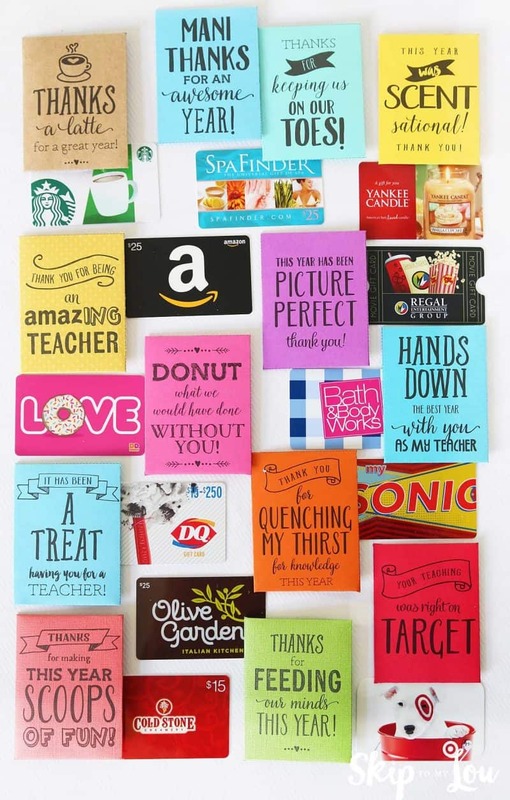 Do you have a special teacher you want to thank. 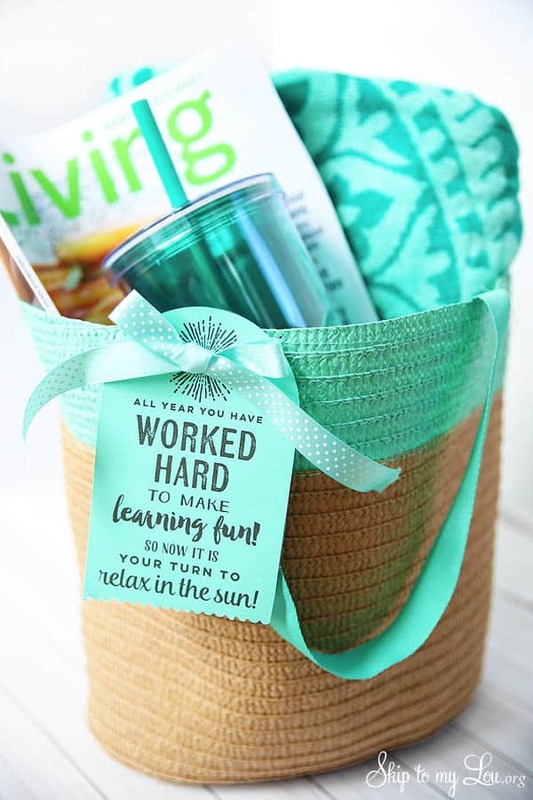 This fun in the sun gift makes a great last day of school teacher gift. Don’t forget to photograph your child to remember another year! 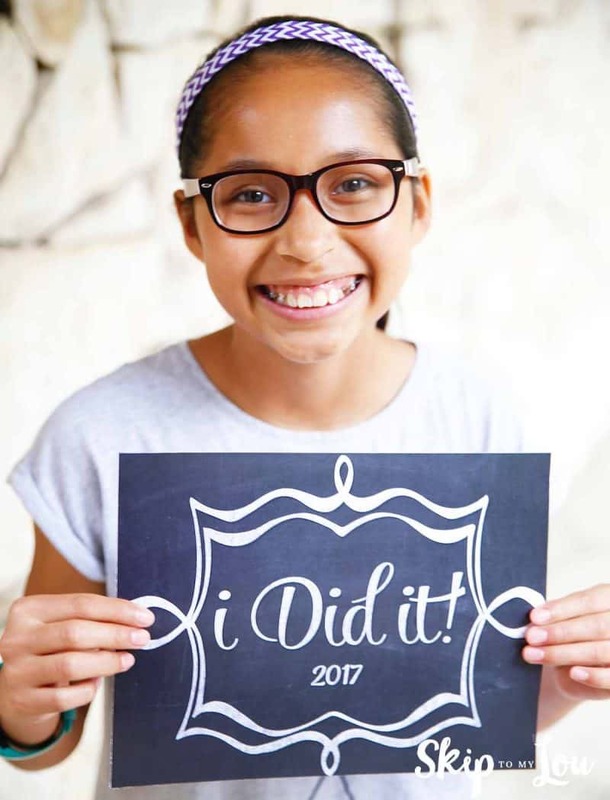 Download this free last day of school sign. It is the perfect photo prop! 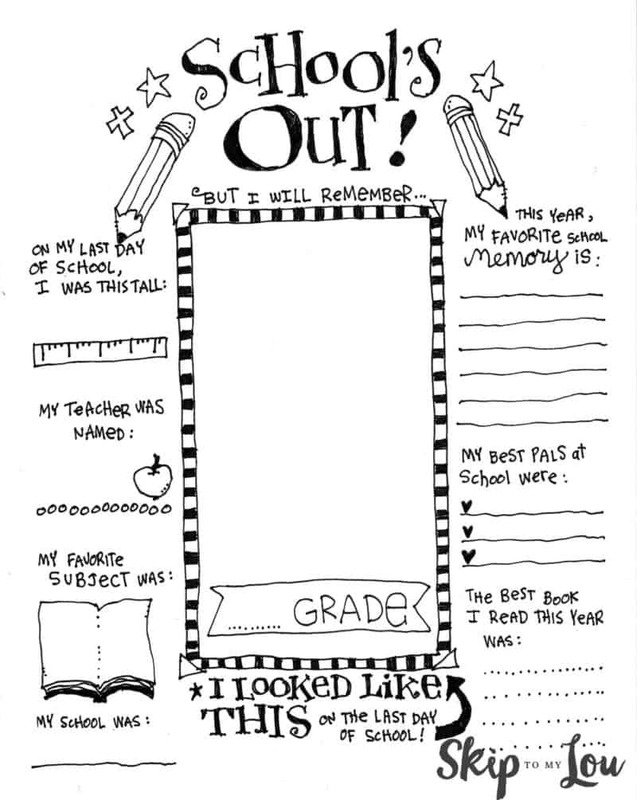 Let your child record their year in their own words with this last day of school coloring page. Do you have a tag that says thanks for making my party a ball or I hope you had a ball at my party?